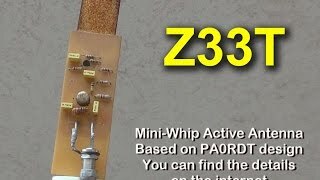 Mini Whip is excellent and cheap DIY active antenna. Some people who report poor performance of this antenna did not followed the rules of proper installation! Grounding the outer conductor (shield) of the coaxial cable has to be done properly! Coaxial cable is part of Mini-Whip antenna and collect a lot of RF noise. You can treat Mini-Whip antenna as a vertical antenna feeding at the top where the impedance is very high. Outer conductor of the coaxial cable must be grounded at the bottom of antenna, where the coaxial cable touching the ground, and the second grounding have to be done at the point just before coaxial cable entering in the house. The RF isolating transformer is recommend also. 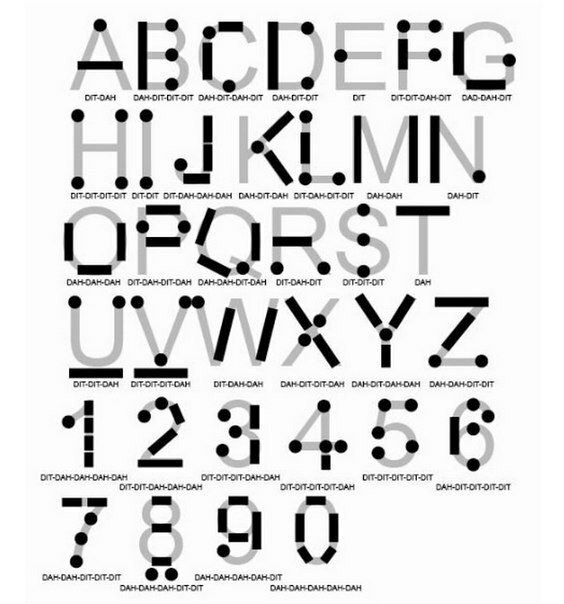 In that way receiver ground is not physically connected to antenna ground but it is galvanic isolated from outer shield of coaxial cable. All this measures is not difficult to implement and cost almost no money, but the benefit is clear, noiseless VLF and HF reception! Mini-Whip antenna must be placed as far as possible from houses, buildings and power lines! 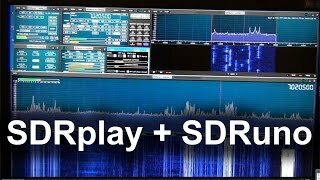 "SDRuno" is new specialized software for SDRplay - RSP1 receiver. Besides many others excellent features, the new one is 10 MHz spectrum span on the window screen. The 10 MHz frequency span you can use it for characterize the HF Band-pass, Low-pass, High-pass or Notch filters. All you need is one noise source (noise generator) which you can find on eBay for about 20 USD. With addition of directional coupler, you can using SDRplay and SDRuno for HF antenna analyzer, measuring SWR like poor-man`s HF Vector Network Analyzer! Receiving all three transmitters of the Russian Alpha - long range navigation system on VLF at the same time. You can hear how interesting sound produces those three transmitters listening together. Receiver is SDRplay, antenna is Mini-whip active antenna, and software is HDSDR. 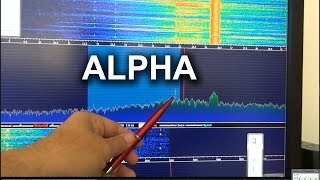 In this video I am showing that SDRPlay is able to receive VLF below 100 KHz. 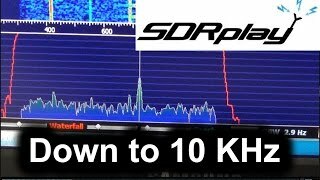 Actually, SDRPlay is able to receive down to 10 KHz. There are many pulse noises you can hear as well as you can see on the spectrum window. Those noise pulses are from Thunderstorms around. It is summer day here in Macedonia and there are many thunderstorms around.